Air pollution is a scary public health story unfolding in India. A vast majority of cities are caught in toxic web as air quality fails to meet the health-based standards. Not only the mega cities, but also the smaller cities are emerging as pollution hotspots. The global burden of disease estimates have shown that air pollution-related diseases have already emerged as fifth largest killer in India. If deaths from indoor air pollution are also added, then air pollution is the top killer. Global air quality databases continue to claim that some of the worst polluted cities in the world are in India. India is poised for a significant epidemiological transition that will enhance the health burden enormously. Even if air pollution does not get worse but remains just as it is today, the number of lives lost will continue to grow as the population grows and ages. Pollution and health risk would need to decline significantly over the next 15 years to offset health impacts from growing numbers, exposures and ageing. It is not that air pollution mitigation has not started in our cities. 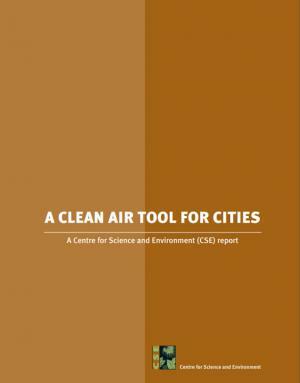 In fact air quality management has taken roots with several cities moving ahead with their strategies. But this action is not uniform, comprehensive, or equally stringent and effective across the country. Cities where several actors – civil society, judiciary and media have come together to inform and sharpen public opinion and push policy have moved ahead of the curve. But this also shows that knowledge and public awareness are not equally distributed. This represents a challenge of governance. Even as cities are trying to put in place control measures, the problem of pollution is overwhelming the gains. Cities need capacity for air quality management and compliance for consistent, stringent, and effective action to meet clean air targets. The powers to govern air quality are divided between the Central and the state governments. While the Central government sets standards and guidelines for regulating and monitoring pollution sources and air quality, the state governments are responsible for implementation. But increasingly, it has become clear that cities do not have adequate legal and institutional strength as well as management and technical capability across sectors to interconnect strategies and roll out comprehensive and integrated action plans.